MeinCokeBonus is the loyalty program of Coca-Cola, with which you can experience the refreshing brand diversity. Earn points and trade them for attractive gifts or put them in an exciting sweepstakes. Win a total of seven years food supplies in the value of 5000 EUR or 100 years Coca Cola stocks consisting of 2 two boxes each month! AdKlick advertising partners receive a fee of 2.00 EUR for each free participation or registration. Verification of declarations on faulty data, including duplicate matching. Activity and identity of the user is required. 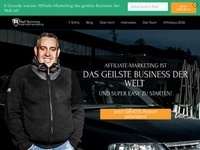 Incentivierter No traffic, no bonus systems. Artificially generated or forced registrations will not be reimbursed.